How do you change Tag/label colors in Pathfinder 8? I work best with light text on dark background. 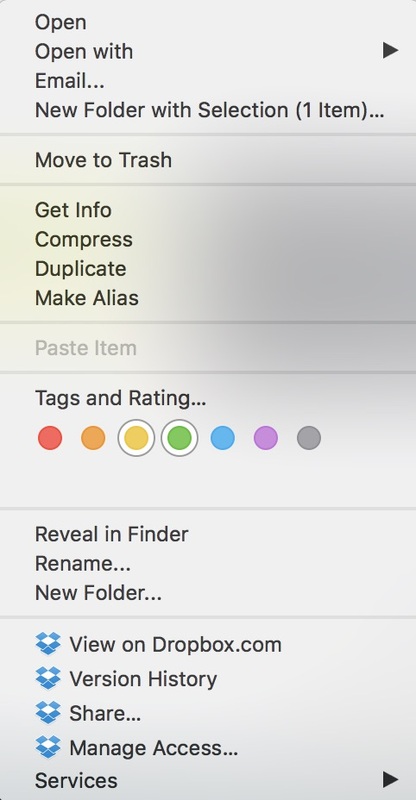 In Pathfinder 7, there was a "Labels" option under Preferences > Features, where I was able to change tag/label colors, however this is missing in Pathfinder 8, which cripples my workflow (see attached image). What happened to "no label/tag"? You know, the box with x in it? And, how to I edit tag groups? Path Finder Support Team closed this discussion on 06 Jun, 2018 10:37 PM. Did you ever get this resolved? I'm having a related problem where they've taken away the [x] None option is the contextual menu labels. I can see all the colors, but the "none" has been removed. So I can't easily grab a group of files and wipe out all labels. Path Finder Support Team closed this discussion on 24 Oct, 2018 09:34 PM. Where is the "no color" option in tags in PAthfinder 8? I can't remove any color tags . -- "hovering over the color", as someone suggested-nothing happens (and I've hovered over EVERYthing). I tried holding Control, Option, or Command as I hover on a tag, nothing happens. This is crazy--please, Pathfinder, answer our questions! The tag/label colors fix is coming. In order to remove a tag, please use it once again. For example, when a green tag is assigned, use it once again in order to remove it. Path Finder Support Team closed this discussion on 09 Jan, 2019 10:23 AM.